We are based at Manor Farm, Marcham in the heart of the village and just across the fields from the site of the excavations. The farm is the home of the Cumber family, who have provided endless and varied support throughout the excavations and continue to do so today with The Trendles Project. 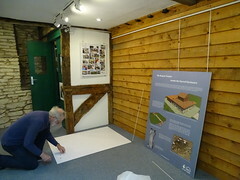 Dr Janey Cumber was also the volunteer manager of the Trendles Project, Chair of the Vale and Ridgeway Archaeological and Historical Trust, a local historian, Chair of the Marcham Society and was central in organising local volunteers for the ‘People’s Trench’ during excavations on Trendles Field. The project is directed by Professors Gary Lock and Chris Gosden of Oxford University who directed the 11 seasons of excavation. The current HLF funding was awarded to the Vale and Ridgeway Archeological and Historical Trust who administer the grant and the project. The Trust is based at Manor Farm. Sheila’s original background was in Anglo-Saxon archaeology and history but on leaving University she spent eight very enjoyable years working as archaeological photographer and finds assistant on sites at Knossos and Sparta run by the British School of Archaeology at Athens. In this country she has worked on stratigraphic analysis for the Essex Archaeology Unit and as a Saxon and early medieval pottery specialist for the Oxford Archaeological Unit (now OA). Her main career, however, from 1987 till the present day, has been in Adult Education, running the training digs for the University’s Department for Continuing education at Cogges, White Horse Hill, Segsbury, Alfred’s Castle and Marcham, and working off-site as Finds officer running post-excavation sessions with students and volunteers on the finds assemblages. Her research on metalwork objects such as Celtic Hanging-Bowls and Roman brooches has led to strong interest in the art of jewellery-making which manifests itself in the making of her own silver and copper jewellery – a hands-on experience which helps in her understanding of the craft techniques of the past. Her role in the Trendles project is to help volunteers unravel the mysteries of stratigraphy, and to help teach how pottery studies can reveal much much more than what the pot might have contained. 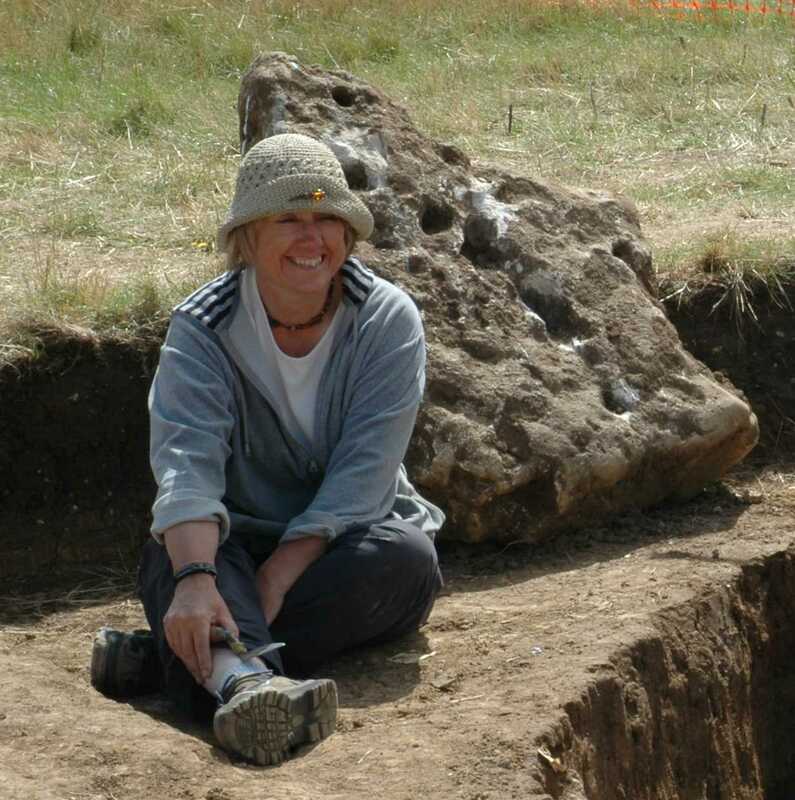 Paula worked in Information Technology before joining the Oxford University excavations as a part-time student in 1996 and deciding to embark on a career in archaeology, with a particular interest in landscapes of the prehistoric and Roman periods. She has excavated at a number of sites and worked as an Excavation Supervisor and Manager on the Marcham-Frilford excavations from 2001-2011. 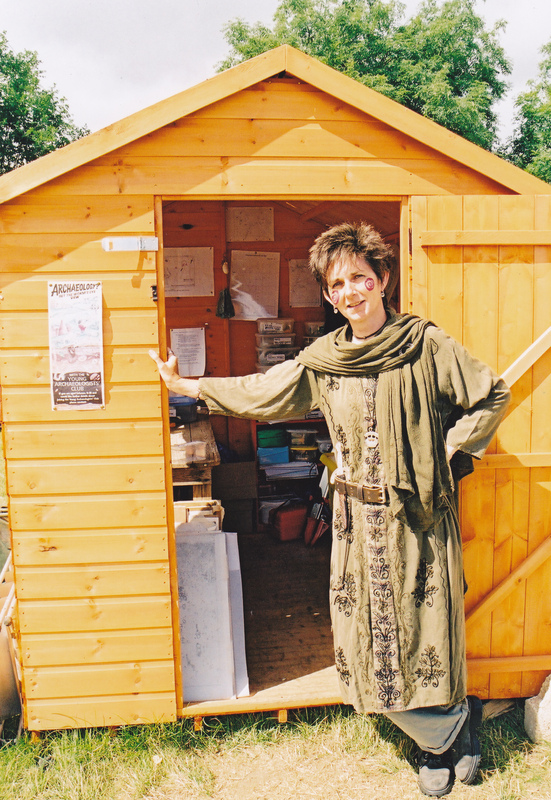 Paula has also organised and worked on a variety of community archaeology projects. She has specialised in osteology and has joined the Trendles Project to teach and work alongside volunteers in the identification of animal bones from the excavations. Paula will also put her previous career to good use by keeping the local community updated with regular reports through this website, posters, and leaflets. Paula is also a Post-Doctoral researcher at the Institute of Archaeology, Oxford. Emma’s interest in archaeology and education started when she was at school, thanks to an inspirational teacher with a passion for engaging children with archaeology. 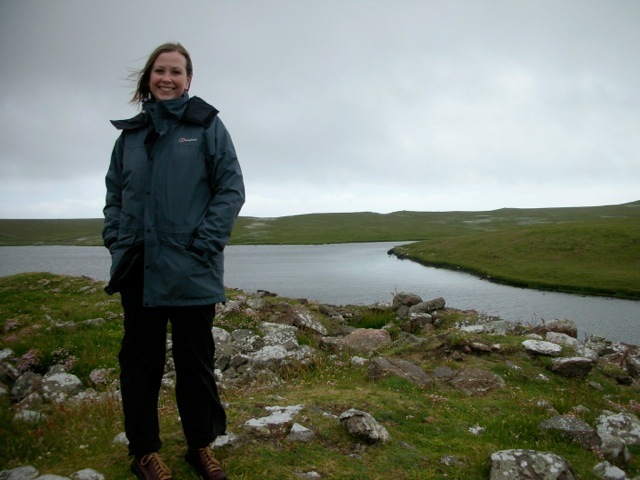 After leaving University, Emma developed and co-managed several Heritage Lottery Funded community and youth archaeology projects over the course of 10 years. These projects mainly specialised in the delivery of practical archaeological training and creation of educational resources for schools. She was also fortunate to be involved in the design and delivery of an Open College Network qualification on Archaeology and the Historic Environment. Emma runs an archaeological consultancy and enjoys being a tutor for a local college. She also delivers GIS practical training for the MSc in Applied Landscape Archaeology for Oxford University’s Department of Continuing Education. Emma is very excited to be involved with the Trendles Project and is looking forward to meeting local people and visiting schools to talk to them about some of the fantastic archaeological finds that the project team are currently investigating. John and Alan are usually found surrounded by toolkits, hammers and saws, and help keep everything on the project running smoothly. 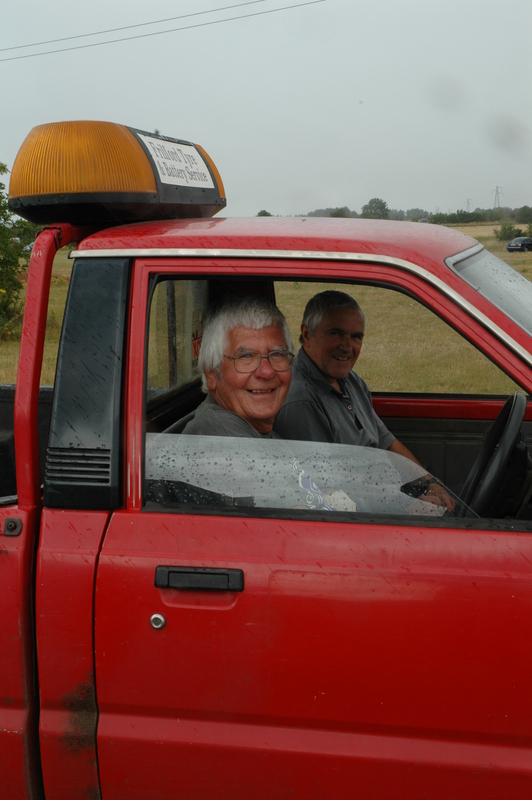 They are both archaeologists and have worked on the excavations since 2001. When not working on the Project, John can sometimes be found investigating the lumps and bumps in Kiln Copse, near Manor Farm, while Alan works front of house at Oxford University’s Pitt-Rivers Museum.